Before joining IDCORE, I completed a 4-Year Undergraduate Masters Degree at the University of Liverpool in Civil Engineering (MEng with Hons). My 3rd year dissertation project was to find the optimised height of a tidal turbine in a water column. It combined modelling theoretical tidal flow profiles and comparing them to real data taken from the Pentland Firth. My optimisation analysis combined the power output, cost analysis and simple hydrodynamics of tidal stream devices. I varied the rotor diameter and height to obtain a thorough optimisation evaluation. Before my degree, I studied at Shrewsbury Sixth Form College, where I completed A-levels in Maths, Physics and Geography. My work experience to date has included working for 2 large engineering consultancy firms. The first was at Gifford (now Ramboll) in 2008/2009. I worked in the Environmental Department alongside many senior engineers in areas such as drainage and water management. It was my first interaction with engineering programmes such as AutoCAD and I was taught how to produce technical engineering drawings. 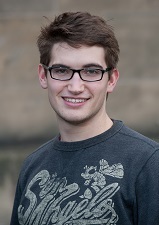 The more recent experience was with Curtins Consulting, whilst at university in Liverpool. This experience allowed me to put the theory I’d learnt in my degree into practice. I was working alongside project engineers and produced professional technical drawings which were sent to contractors. I worked on structural design of buildings as well as looking at rainwater run-off systems. I thoroughly enjoyed working for these two companies and the engineering knowledge and professional experience I gained was invaluable to me. I was studying for my undergraduate degree at the University of Liverpool. The IDCORE programme was a fantastic opportunity for me to further my interest in offshore renewable energy. Through the diverse programme, I hoped to gain more knowledge and experience that could be used in industry. I wanted to be a part of developing new technologies and being on the front line of providing renewable energy. Undertaking this postgraduate study will allow me to put the knowledge and theory I gained, so far in my education, to practical use especially once I start the industrial project in June 2014. I aspired to become an expert in this area and believe that this 4 year programme will set me up to achieve this goal. I was initially drawn to the course due to the prospect of working alongside such renowned people from both academia and the energy industry itself. Furthermore, working with a company directly is a fantastic opportunity to impact the future of this growing industry. What attracted you to offshore renewables industry? What aspects of the industry do you find most inspiring, interesting or important for the future? I see a huge future for renewables in the UK especially with marine renewables. It is a relatively new industry that is already growing rapidly and I want to see it develop and contribute to its success. There are many issues to overcome with offshore renewables but I want to pour my efforts into solving these and see them become as big as other renewables. Being accepted onto the IDCORE programme. During my time on this programme, I want to broaden my knowledge and develop expertise of offshore renewable technology. I hope to get a wide variety of knowledge encompassing all aspects of marine renewables. Furthermore, I plan to take full advantage of the links between academia and industry to bring something new and innovative to the renewable industry. I hope that the research and development that I achieve through this programme will be beneficial to future development of offshore renewable technologies.